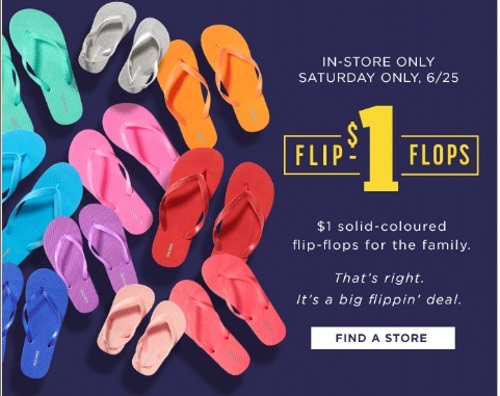 Old Navy's popular flip flop sale is back! Get flip flops for only $1 for the whole family this Saturday June 25, 2016! This sale applies in-store only. The sale is valid on all solid colour flip flop sandals only. Limit of 10 pairs per person. Click here to browse Old Navy online.